(NaturalNews) Costco can be a little unpredictable when it comes to embracing natural, healthy foods. In 2015, there was a petition against the company to urge it not to sell GM salmon and the company has also been under scrutiny for salmonella-contaminated chicken. But now it seems that Costco might actually be doing something right – something that not only benefits the US consumer but also benefits organic farmers. As reported by The Seattle Times, Costco is finding new and creative ways to meet its customers' growing demand for organic produce. Organic foods is one of the fastest growing categories in food sales, and Costco is really trying to keep pace with this exponential increase in demand. 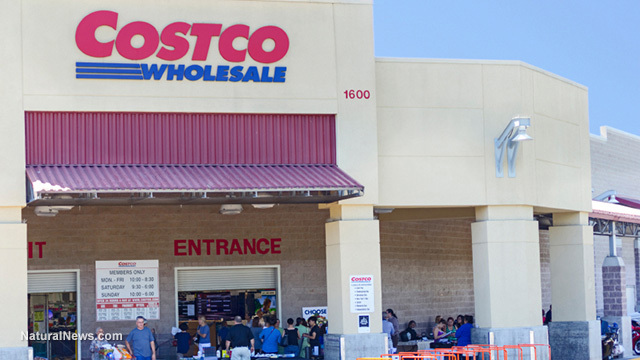 According to CEO Craig Jelinek, "[Costco] cannot get enough organics to stay in business day in and day out." Therefore, the new strategy involves Costco actually playing a part in building this food supply, and the company is developing a variety of initiatives to help boost the supply of organic food. Costco is going to work with the farmers themselves to help them buy the land they need and equipment necessary to grow organic products. The company will be lending money to farmers, starting with San Diego-based Andrew and Williamson Fresh Produce (A&W), who need the money to buy equipment and 1,200 acres of land in Mexico. The concept first came about when senior vice president of Costco's fresh foods, Jeff Lyons, was enjoying a tour of the A&W operations. Costco was already aware of 1,200 acres of land in San Quintin, Baja California, that had been fallow for many years and was up for sale. It was available to grow organic food immediately, and this gave Lyons the idea, as reported by The Seattle Times. A&W had a wealth of experience growing organic fruits and vegetables, including strawberries, raspberries and tomatoes, and wanted to purchase the land but didn't have the funds available. Lyons saw an opportunity and decided that it made strategic sense for Costco to loan the money, taking into account the increasing demand for organic produce and a long-term goal for Costco – to attract new and retain existing customers. The company hopes to expand the initiative and ensure a greater, more consistent supply of organic food. At present, the demand continues to increase, yet the supply cannot be maintained. This concept could pave the way for a healthier, more organic future for the US consumer. Costco is also working with a poultry plant in Alabama that raises the 83 million rotisserie chickens it sold last year and has recently bought cattle to be raised on organic fields in Nebraska to ensure a constant supply for its organic ground beef. As reported by The Seattle Times, the supply of organic food is limited partly because of the time it takes to officially transition from conventional farming to organic – several very expensive years. Uncompromised land that is available for the growth of organic food is either extremely rare or extremely expensive. The demand has reached a market share of almost 5% of total food sales – and yet only 1% of US farmland is currently organic. The transition from conventional to organic farming can be tough and generally takes at least three years, according to a timeframe outlined by the US Department of Agriculture. This time allows for pesticides, herbicides and other nonorganic substances to naturally leave the soil, as reported by the Rodale Institute. New equipment and new processes are required in order to grow organic food, which means a large financial commitment for the first few years – and until the three years have passed, farmers will only be paid standard prices for their produce as it cannot yet be sold as "organic." If Costco wants to expand its supply of organic foods, it will need to keep an eye out for any potential land that might be appropriate for the growth of organic produce – or bite the bullet for a few years while farms make the transition.